The foundation is being laid for a fundamental change in the helicopter industry. Like many such changes, it rests in the military. I suspect it won’t be long before civil operations are built on that foundation. 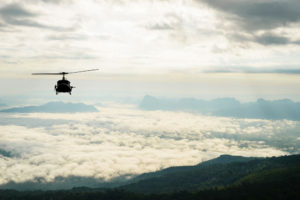 Its creation is taking place in the cockpits and command centers of helicopter units operating over the battlefields of Iraq and Afghanistan, and among the ground troops those units support. The building blocks are unmanned aerial systems. They are being cemented in place by the tactical opportunities they are creating for aircrews and ground troops and the battlefield successes to which they are contributing. Combat veterans "will foster acceptance of UASs in civilian operations. Our industry will change." You may be ready to turn the page now. Bear with me a bit longer. Some of you may consider that term, "unmanned aerial system," a lot of bluster, a grandiose name for what is basically a drone. I felt the same, and have in the recent past dictated the use of "drone" instead of the longer term in articles on these pages. It is more accurate, I’ve come to realize, to call them systems. AeroVironment’s RQ-11B Raven system, for instance, typically includes three of the hand-launched, fixed-wing aircraft and a ground control station for their operator. The General Atomics MQ-1C Sky Warrior, featured in this month’s Program Focus on page 20, adds a new set of electro-optical and radar sensors to Army aviation’s bag of tricks. These are not aircraft blindly flying a pre-programmed course; they are systems as much as Boeing’s AH-64 Apache is a weapons system. 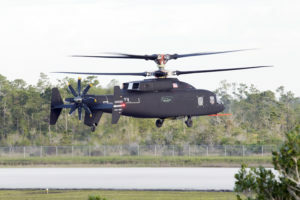 Tactical rotary-wing operations have just begun to plumb the potential of these systems. Yet that potential seems to be clear to those in the fight. 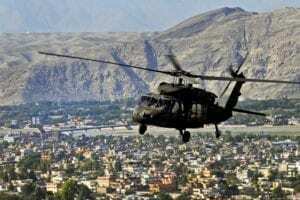 Army commanders are fusing the capabilities of unmanned assets with missions on the ground, building collaboration between them with helicopters and dynamically re-tasking those air assets to respond to emerging threats on the battlefield. Whether unmanned aircraft are necessary or a threat to the turf of manned helicopters no longer seem to be in question; they are widely recognized as valuable elements of the operational team. Why should that matter to operators on the civil side? For a few reasons, I think. 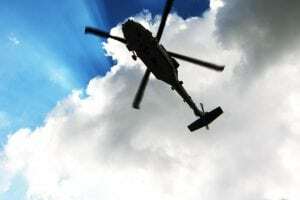 The first is that the aviators who were seeing unmanned aircraft used to good effect on Southwest Asian battlefields will, before too long, make their way into the civilian helicopter workforce. How many is a subject of some debate. 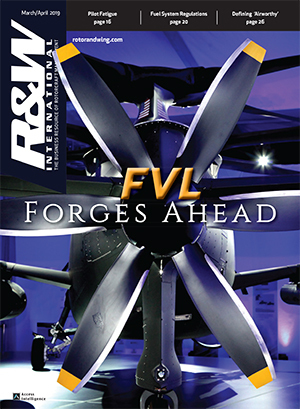 Among those who track the present and future rotorcraft workforce, there are those who doubt our industry will benefit in the next few years as it did after the Vietnam War. Then, thousands of ex-military pilots were looking for helicopter jobs. Today’s military pilots are better educated by virtue of promotion requirements that compelled them to get master’s and doctorate degrees, these folks argue. Therefore, they have a wider range of opportunities open to them once they are out of uniform. Also, they say, they and their families are exhausted from the recent operational tempo of U.S. forces; the last thing they want is a job that doesn’t pay much, compared to what they can earn, and requires them to spend weeks on end on an offshore rig or at a remote base camp. That said, some of today’s military flyers will climb into civilian cockpits. They will bring with them the beneficial experience and lessons of flying with unmanned aircraft. 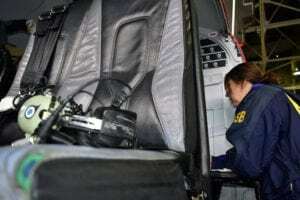 We can reasonably expect them to push for using unmanned aircraft to help seize business opportunities just as they helped seize battlefield objectives. Just as important, many of today’s ground troops will go into fields that utilize helicopter support, such as law enforcement. When airborne coverage is unavailable on the civil side or they cannot get a good picture of the tactical situation on the ground, they will wonder aloud "Why not?," and recount the support they received in combat from unmanned aircraft. Together, those groups will foster acceptance of unmanned aircraft in civilian operations, and our industry will change because of that. 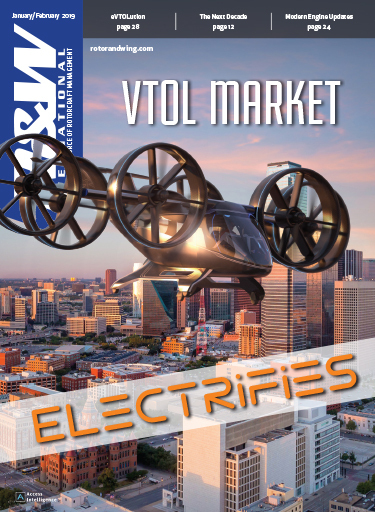 Some jobs on and sales of manned aircraft will be lost, but I’ll bet the utility of rotary-wing aviation (and the business opportunities open to it) will grow. That won’t be restricted to airborne law enforcement. 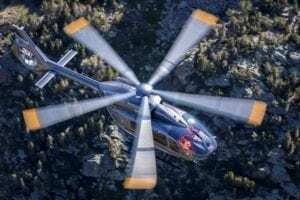 Logically, unmanned aircraft can supplement helicopters in pipeline and powerline patrols, some other utility missions, and even electronic newsgathering. I’m not sure anyone is yet ready to entertain the idea of loading a patient on an unmanned medevac flight, but that day may come, too. How is that possible, you ask, when unmanned aircraft can’t "see and avoid" in VFR airspace and the U.S. FAA requires a special permit for every unmanned flight in civil airspace? The integration of unmanned aircraft into civil air operations is merely a technical challenge, I believe, of the type that aviation has proven time and again it is well suited to conquer. 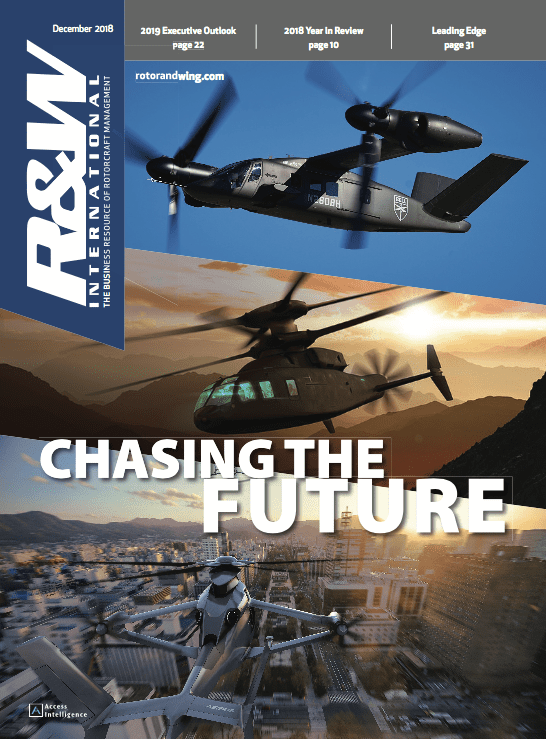 More and more common use of advanced avionics and air traffic control tools, such as the automatic dependent surveillance-broadcast system, will only make the conquest of that challenge easier — and the transformation of the rotorcraft industry more certain.